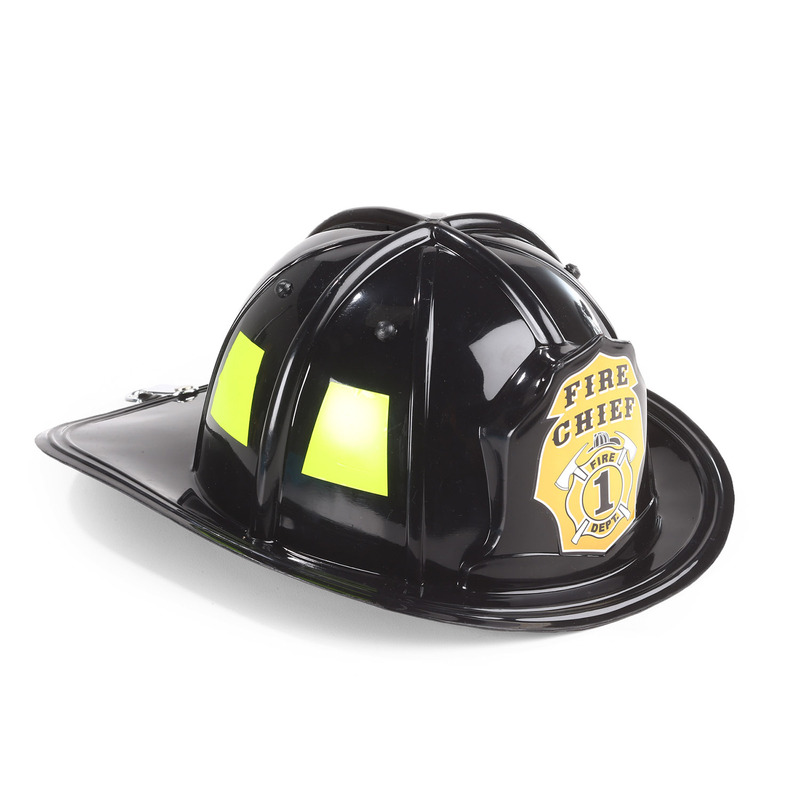 Treat your child to an authentic looking Firefighter Helmet, and watch their imagination soar. Soon they’ll be the station chief or treating you to a steaming bowl of firehouse chili. Fire chief and lime green decals adorn this hat, with an adjustable band to adjust to head size. The Jr. Firefighter Helmet also complements the Jr. Firefighter Suit (GF104). The Jr. Firefighter Helmet is NOT fire retardant.